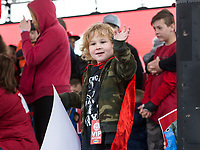 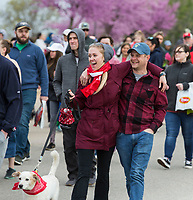 Walkers take a 1.5 mile stroll for heart health Saturday, April 13, 2019, during the Northwest Arkansas Heart Walk starting from the Walmart Arkansas Music Pavilion in Rogers. 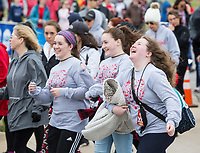 This year is the 25th anniversary for the American Heart Association's annual walk with locations around the country. 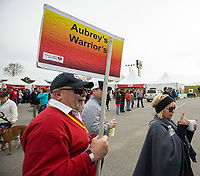 This year's Northwest Arkansas walk raised more than $1 million with donations still coming in as of Saturday morning, said to Lauren Wheeler with the American Heart Association Northwest Arkansas.